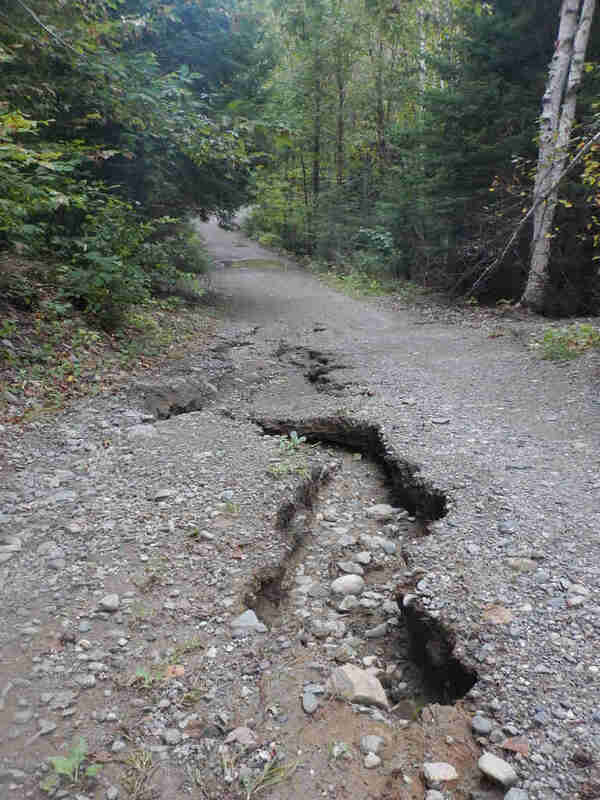 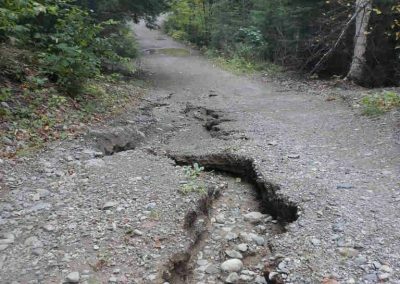 Erosion on Lower Murray Road after rain event. 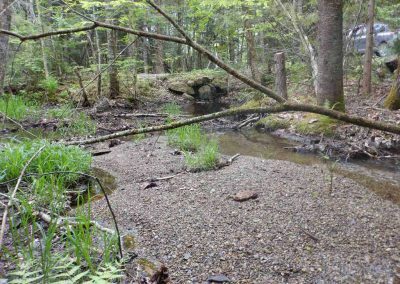 Fitts Mountain Stream looking down stream at culvert inlet before project. 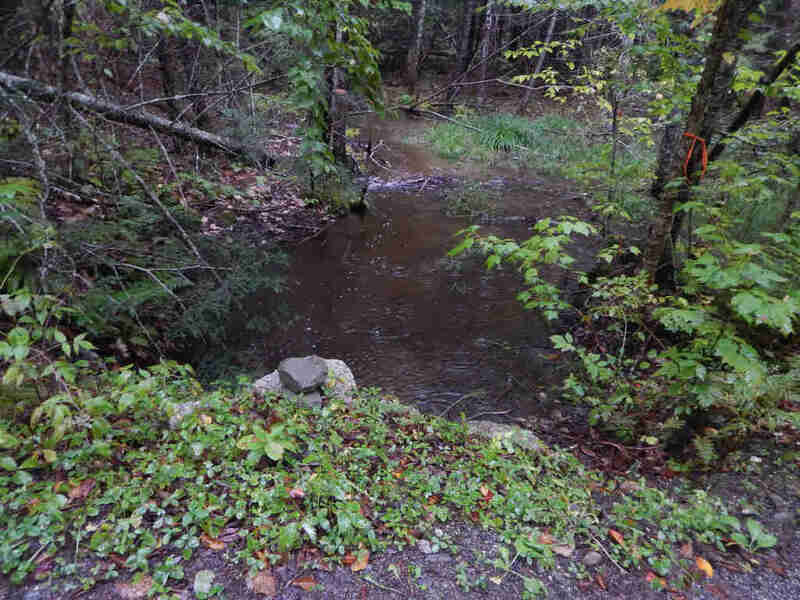 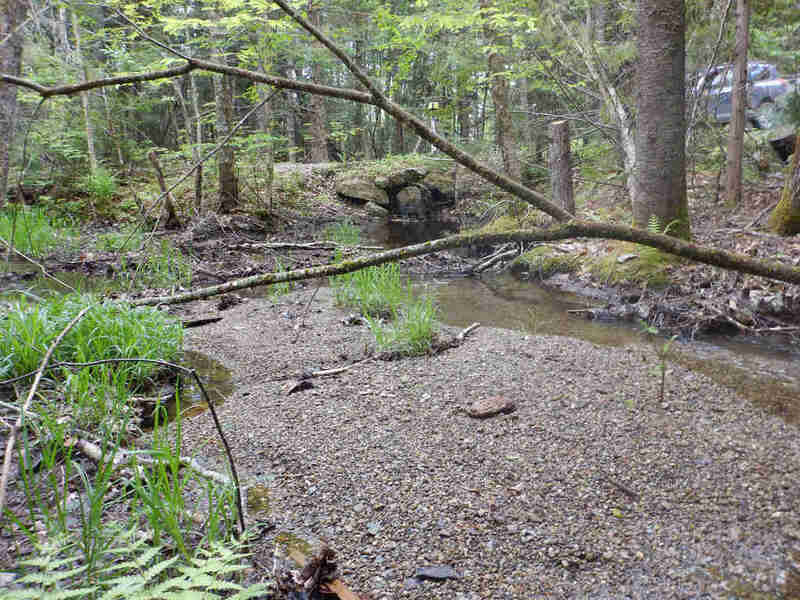 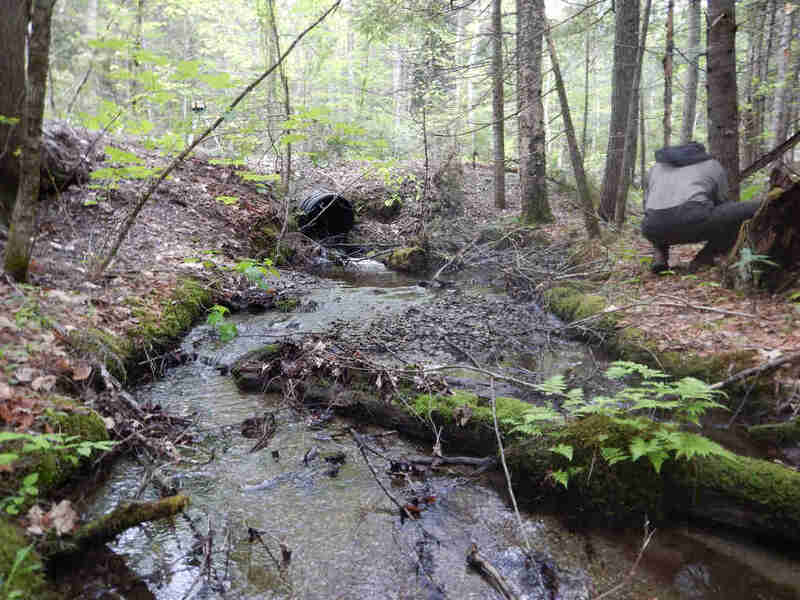 Fitts Mountain Stream looking up stream at culvert outlet before project. 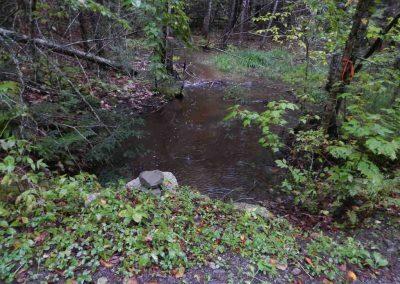 Stream flow at spring flood event looking from old culvert outlet down stream. 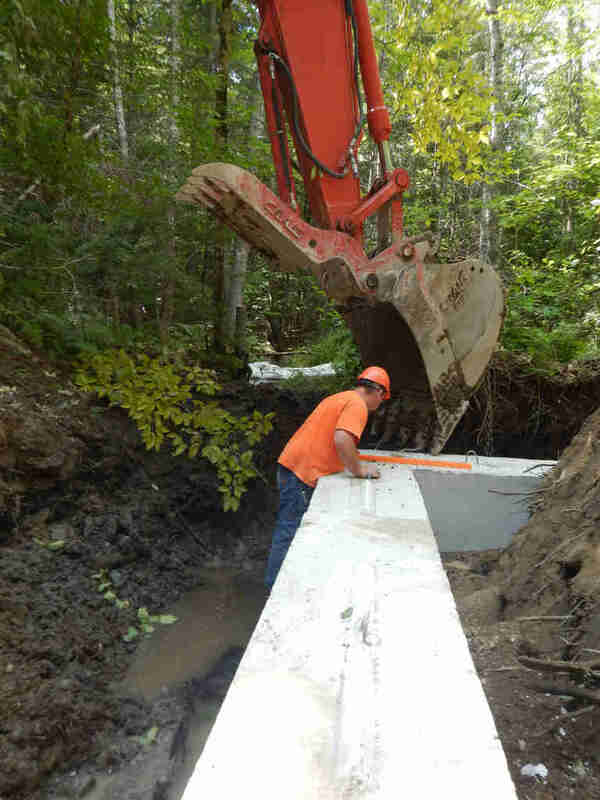 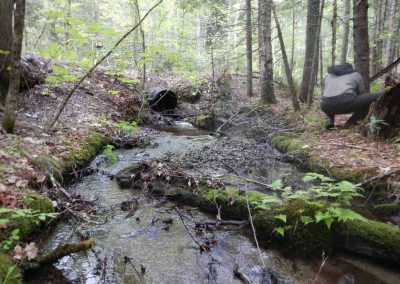 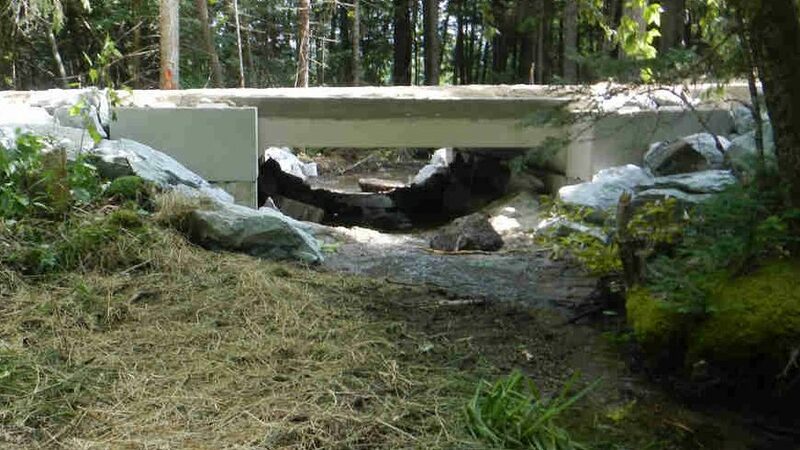 Failing Culverts could only pass 46 cfs of water, estimated to occur every 2 years. 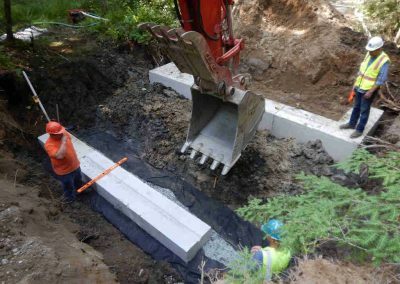 Maximum excavation depth for the new structures foundation. 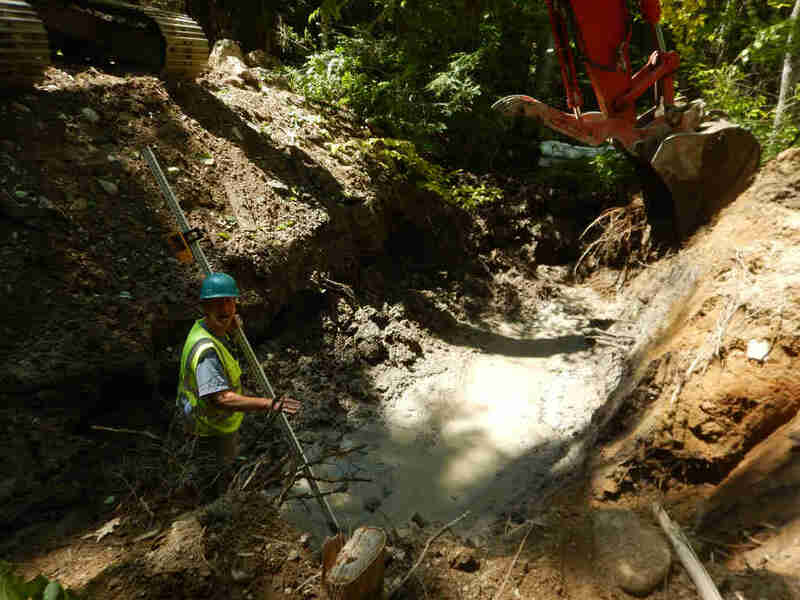 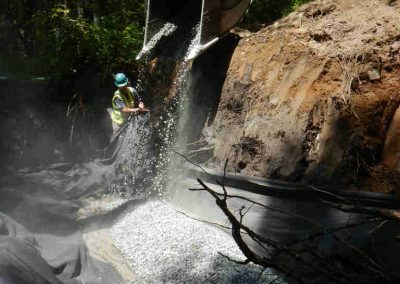 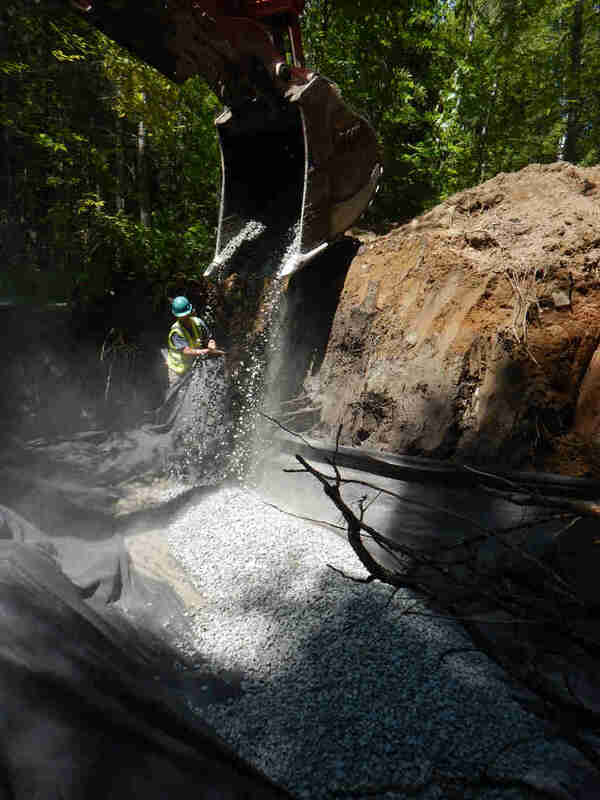 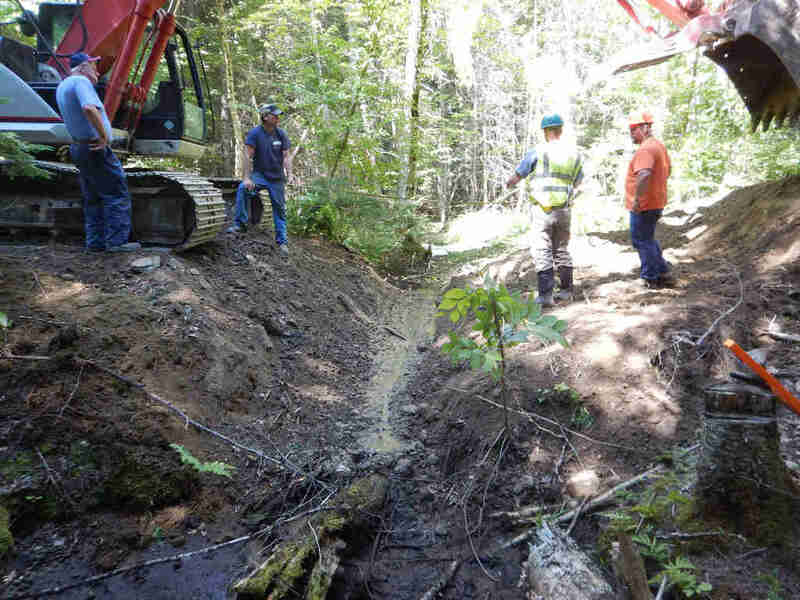 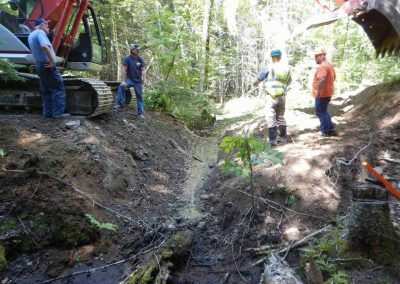 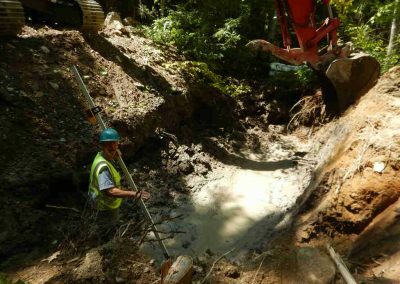 Water in the construction zone is pumped to a natural area preventing sediment laden water from washing down stream. 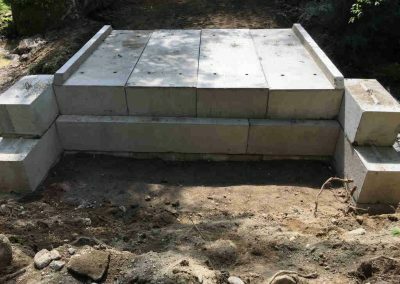 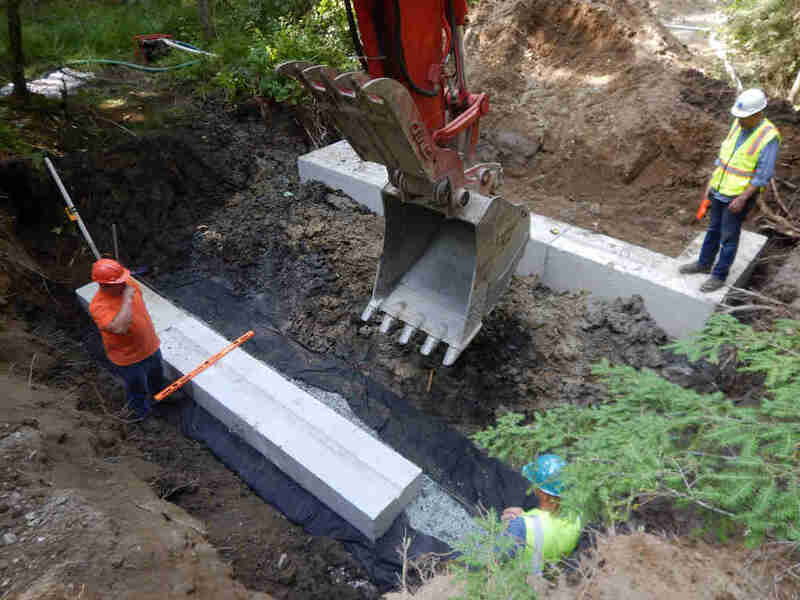 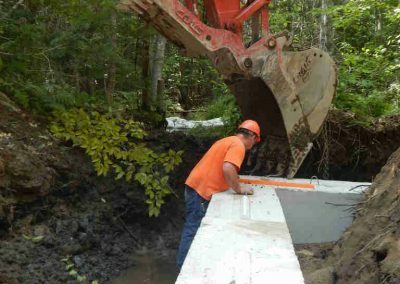 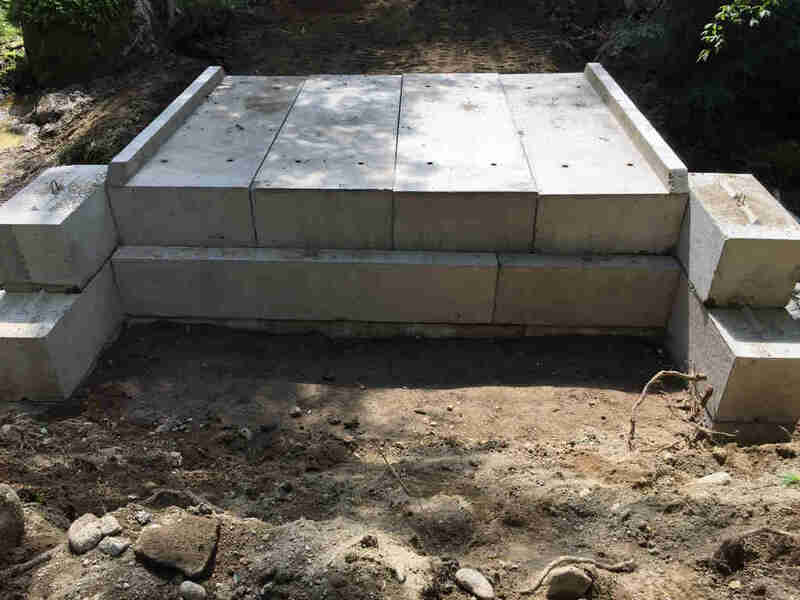 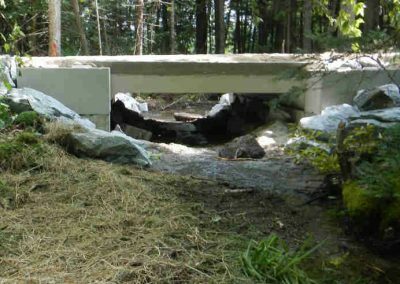 Precast concrete is placed below the stream’s natural scour depth to prevent erosion under the structure. 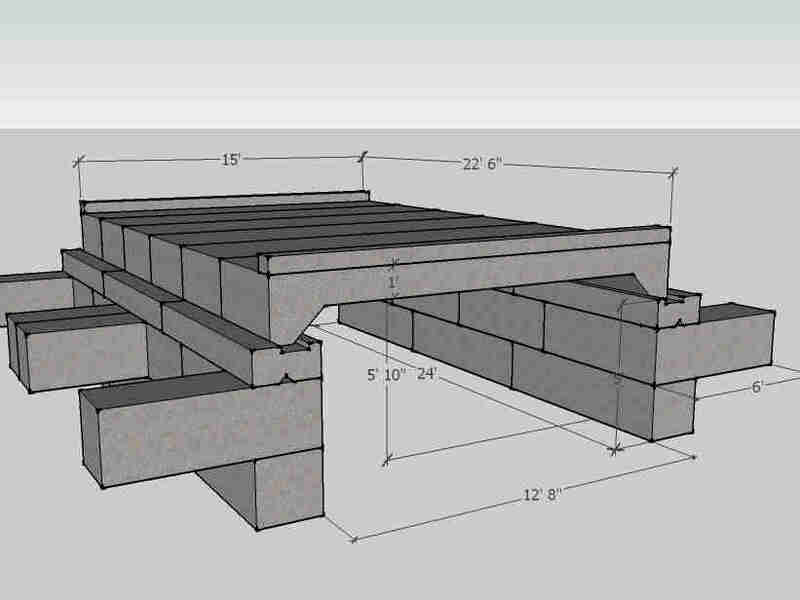 A second layer of blocks provides 2 feet of elevation to pass water during storms and match the roads elevation. 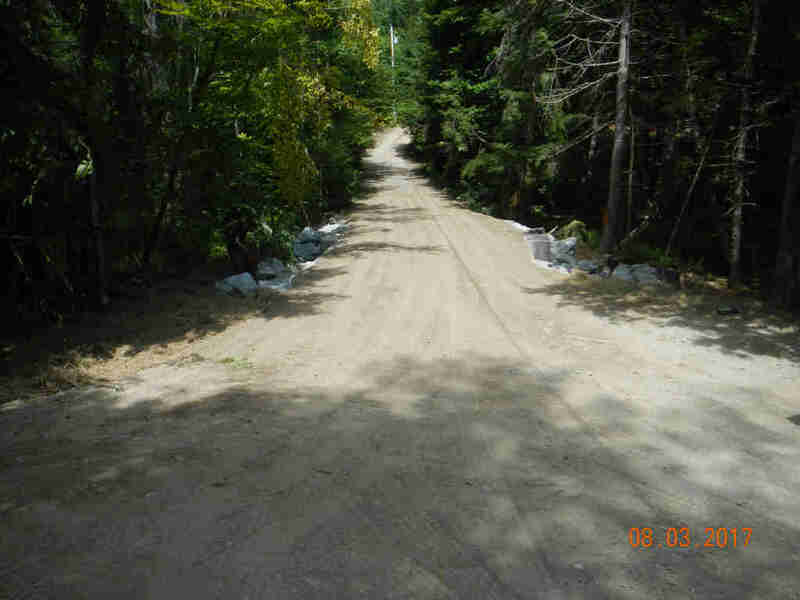 A view of the finished road. View of the completed crossing looking down stream at inlet.